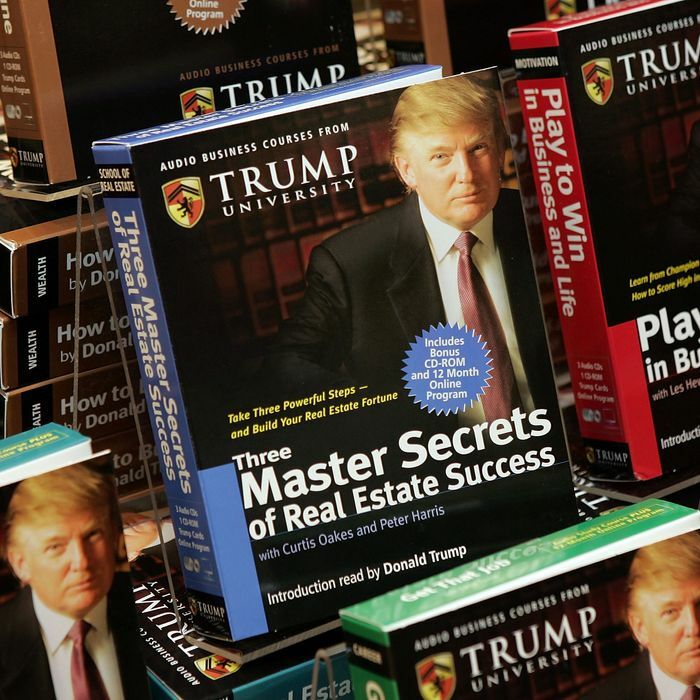 Donald “I don’t settle cases” Trump settled his Trump University class-action lawsuit for $25 million in November, a deal that would return some of the $40 million about 7,000 students spent on a program they say turned out to be a scam, but would not require then-President-elect Trump to admit fault or wrongdoing. But at least one plaintiff, a former Trump University student from Florida named Sherri Simpson, is rejecting the terms of the agreement and wants to opt out of the settlement so she has the option to go ahead and sue the president. Her attorneys have asked federal Judge Gonzalo Curiel, whom Trump famously attacked on the campaign trail because of his Mexican heritage, to reject the entire deal if students can’t drop out of the deal and pursue litigation individually. The request could delay the settlement, or, if granted, unravel the entire thing. President Trump said he settled to avoid the hassle of a trial as a president. Simpson took Trump University seminar in 2010, and then signed up for a $35,000 “Gold Elite” program with another classmate. She paid about $19,000 for that course, which promised access to mentors and the “resources” of the Trump Organization — all of which Simpson says she never received. Judge Curiel will hear her motion, but even if he denies it, Simpson could appeal his decision to another source of Trump’s ire, the Ninth Circuit Court of Appeals. That could draw out the litigation and put on hold on the money due to the rest of Trump University students party to the class-action suit.